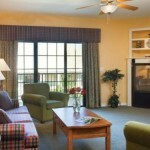 Visiting The Falls Village Branson is like coming home to family. 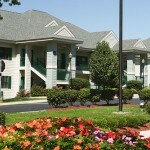 The friendly staff will welcome you like long-lost relatives, lavishing you with attention and catering to your needs. 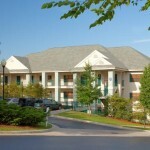 In fact, the resort is designed from a family perspective – from the outdoor picnic area to the kid’s playground. 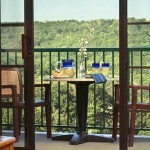 With almost 22 acres of land, The Falls Village Branson is nestled in the woods amid the hills and valleys of the Ozark Mountains. 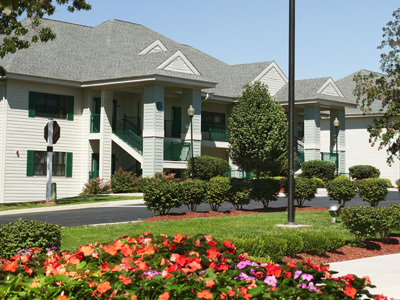 The picnic area, complete with barbeque grills, is not only a place to eat, but also a place to meet other owners and make new friends. 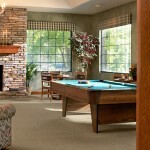 After eating and greeting, you can challenge the kids (or your new friends) to a game of mini-golf, shuffleboard or horseshoes. 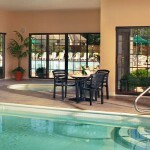 Or you can swim in your choice of indoor or outdoor pools. 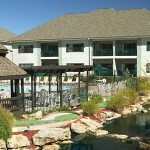 For children, there is also a covered kid’s pool, playground and game room. 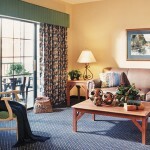 When you return to your vacation home, the warm, contemporary décor will greet you and the wooded views will soothe you. Settle in for the night in front of the TV or enjoy a relaxing, romantic soak in a heart-shaped whirlpool tub (selected homes only). 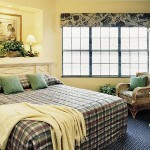 Falls Village Branson features 1262 square foot two bedroom lockoff lodging accommodations. The 2BR lockoff villa can be split into two separate units: a 906 square foot 1BR villa that sleeps 4 people, and a 352 square foot studio unit that sleeps 2 people. 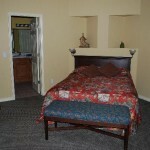 The 1BR unit includes a master bedroom with a king size bed, a garden jetted tub, TV, and a large closet. 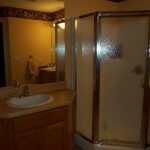 The master bath boasts his/hers sink vanity and a separate shower. The living room includes a queen sofabed and a large flat screen TV. 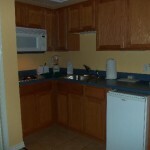 The unit also has a nicely equipped full kitchen. 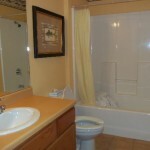 The condo also has a washer, dryer, deck and a fireplace. 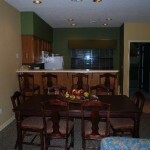 The cozy studio unit also features a king size bed, a dinette table and a kitchenette with two burner cooktop. 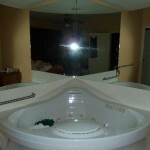 The bathroom provides a tub/shower combo. 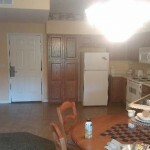 These are lockoff units, so the studio and 1BR can be combined. It is possible to accommodate up to 6 people in a single mega-villa! 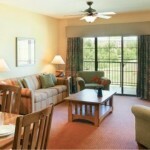 Save by renting from us — the regular resort rates for studios are about $800 and for 1BRs are about $1000+tax.